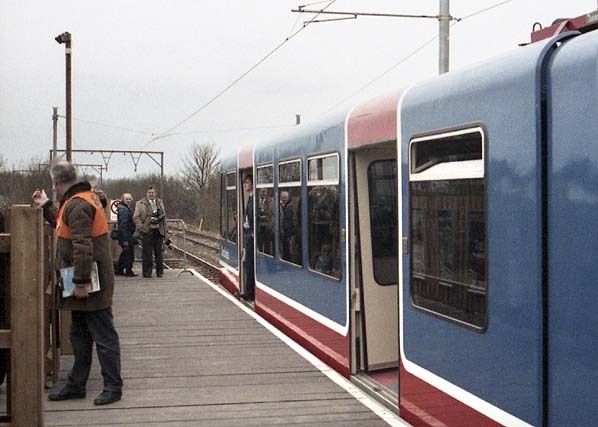 Notes: March 10 1987 proved to be an important day for the advancement of public transport in Greater Manchester. Battered from months of bad publicity over the inadequacies of bus services following deregulation, though not its fault, the Passenger Transport Executive was able to unveil to the press and more importantly to the Minister of State for Transport its future lynch-pin for rapid transit in the region. 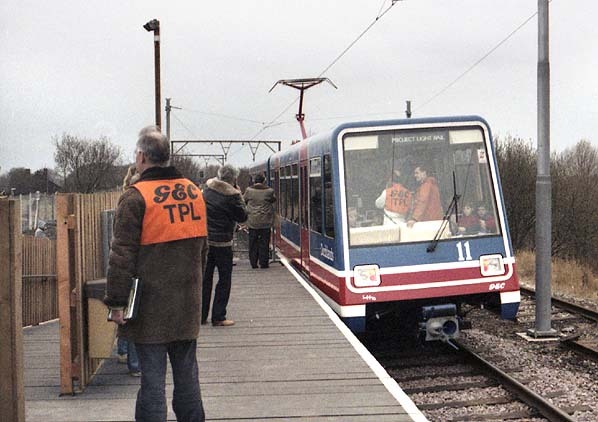 In something over four months and with the willing co-operation of a consortium of manufacturers and British Rail, the PTE had been able to organise a full-scale demonstration of a light rail vehicle and, what is more, allow the public to sample and comment on the vehicle and the concept of light rail. All this took place when the Bills to allow the setting up of a light rail network were passing through the final stages of their Parliamentary procedure and crucial submissions were being made for Government funding. opens in July 1983. 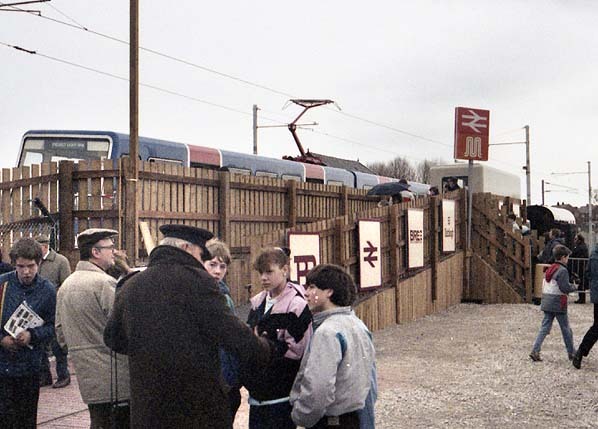 British Rail provided the drivers and ticket inspectors for the whole of the demonstration period. GEC staff 'captained' the vehicle, and visitors were made welcome around the site by both PTE and contractors’ staff. The vehicle, not having been handed over to the DLR, was provided by GEC Transportation Projects Ltd, which was obviously promoting prominently its local associations, having its headquarters at Trafford Park. Other participants in the demonstration were BREL, who co-ordinated the whole project,Fairclough Civil Engineering Ltd, who provided the lineside facilities and the PTE itself, responsible for publicity and general promotion. To provide a 750-volt dc supply BR used two cars from a 25-ky ac-operated class-303 multiple-unit to act as a mobile substation. One car did the real work, and the control trailer had the batteries which actuated the controls of the transformer/rectifier equipment. The mobile substation was located to the north of the demonstration on the branch to Fairfield Junction, collecting the ac supply from a feeder cable strung from the 25-kV lines at Gorton Junction, and feeding the dc output to the specially-strung contact wire for the LRV demonstration. The demonstration line ran from just north of Hyde Road junction to just south of Sandifold Lane south of the closed Reddish depot. 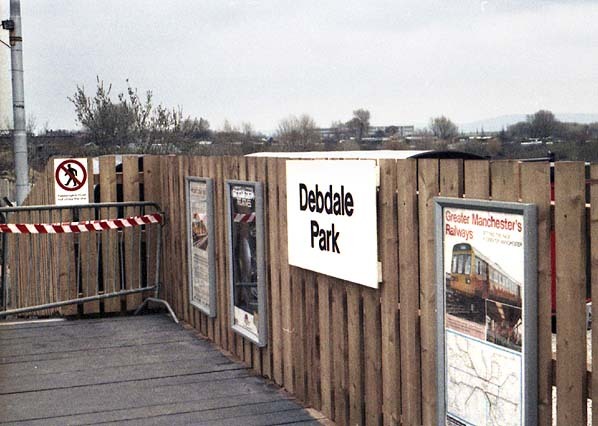 The official opening of the demonstration project took place on the station platform which had been named Debdale Park. It was sited at the north end of the site of the former Hyde Road station on the Fallowfield Loop line that had closed in 1958. 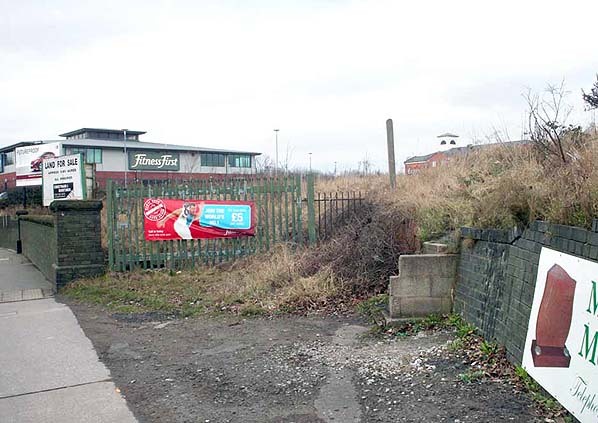 The access road for the old goods yard was used to access the temporary station. It was of simple timber construction, the components being lent by British Rail; these are used for the provision of relatively cheap new stations in several parts of the county, and the Debdale components were subsequently used for a new station elsewhere in the UK. The structure, like most of the facilities connected with the demonstration, was chosen to show the adaptability of light rail and that rapid response to changing passenger demands can be achieved at reasonable cost. Following a welcome by the Chair of the City Council, Cllr. K. Robinson, the opening ceremony was performed by David Mitchell, MP, the Minister of State. The Minister having blown a whistle, car 11 broke a tape and proceeded into the platform ready to pick up the invited guests and members of the press. A round trip passing the semi-derelict Reddish motive power depot followed, with GEC Transportation providing a commentary along the way. 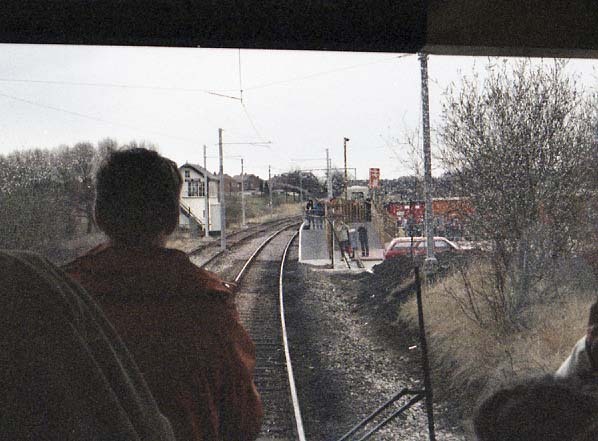 The Debdale Park station area was also used to demonstrate a number of distinctive features of light rail. Balfour Beatty Power Construction had taken the opportunity to supply several different types of overhead fittings and at the base of the station access ramp, specially provided for handicapped people and mothers-with-prams, short sections of differing types of track were displayed. These included a stretch of street track with paving by Marshalls Mono, and a stretch of Docklands track with its neat sheathed contact rail and under-running collector. Various special interest groups, both users and manufacturers, had been invited to the demonstration, and many suppliers were keen to show their products and the latest design features. The public were invited to apply for tickets for the middle two weekends of the demonstration and over five days no less than 7500 passengers were carried, with a total of 10000 people all told. Tickets to travel on the line included free transport by bus from manchester Piccadilly. Those attending on the days reserved for official visits were treated to a series of lectures on all aspects of modern light rail. There were small exhibition areas showing Light Rail in action all over the world. A question-and-answer sessions showed how great was the interest in the subject, and when the visitors passed on the information they gathered, the success of the demonstration exceeded all expectations. The entrance road to Debdale Park Station in February 2009. This was originally the entrance to Hyde Road goods yard.